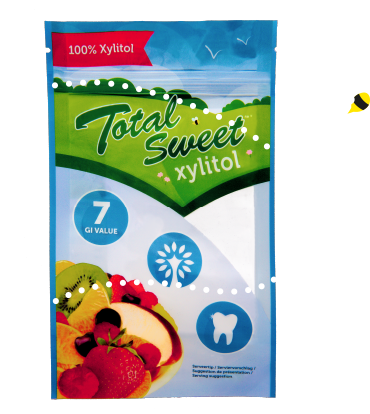 What is Total Sweet Xylitol? 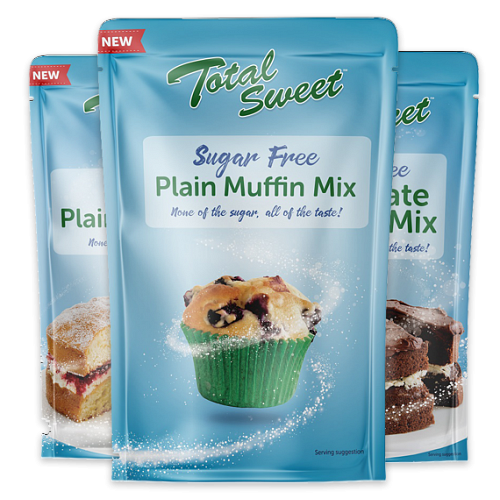 Total Sweet is a natural sugar alternative whose sole ingredient is xylitol. 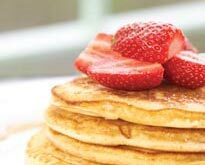 Xylitol is a sugar alternative, which looks, tastes and feels just like sugar, but has some surprising health benefits. Xylitol's totally natural and, in the case of Total Sweet, made from sustainable European birch and beech wood. 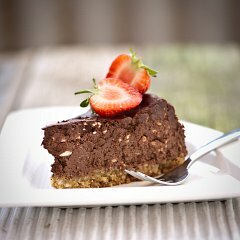 It has 40% less calories than sugar, less than half the 'available' carbohydrates, a GI value of just 7 and actively promotes healthy teeth – making it ideal for dieters, those with diabetes (see below) and anyone looking to cut down on the amount of sugar in their lives. Totally natural & tastes just like sugar! 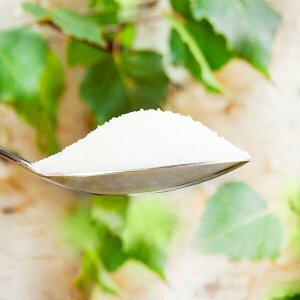 What are the benefits of using xylitol?